I am having a sale in my Etsy shop! 30DaysHasSeptember will get you 30% off! 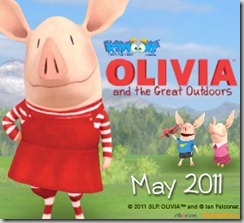 Olivia the Pig makes us giddy. 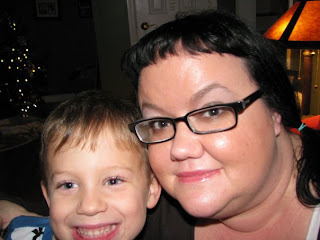 I recently found a blog online that I really adore. Our Kids Mom is really neat! Just a few moments ago, I decided that I might take Miles, 7, to a movie today. Lola has a stomach bug and I had been wanting some girl time with my big girl. As a part of the Kidtoons initiative, Carmike is playing Olivia and the Great Outdoors, so I googled it for a bit more info. Right off the bat, I went to this posting, where I learned that "Kidtoons is a small organization dedicated to bringing fun, affordable, safe family oriented programming to movie theaters nationwide". We think that we will, in fact, enjoy the film. Sadly, we aren't going to make it to this film today because it starts in half an hour, but this Olivia flick is certainly on our summer list! P.S. I registered for a little contest they're hosting for an Olivia prize pack AND I signed my kids up for the birthday club; they should each receive a movie pass around their birthday. They are going to be SO stinkin' excited to find out! Drop by Dusty's house at 3238 Prater Court on Saturday from 11 a.m. to 2 p.m.* to peruse Dusty Brown merchandise with a special discount of 30% or more. As always, you can add a pair of earrings to any necklace for $5! Your purchases will be ready to give in chocolate brown boxes, ribbon tied and presented in a small bag. How easy it that?! Hope to see you there. *Need another date or time frame? It might be possible! Email me at Dusty@DustyBrown.net. If you got the hotline, please send 'em on up! In my lifetime, my daddy has always been in good health. He got lots of physical exercise, never had a weight problem, etc. He'd complain about his 'gut', but he's a handsome, healthy man. In 2004, he found out about a congenital birth defect. He had a valve in his heart replaced. Actually, his awesome doctors at St. Thomas replaced two valve and did a bypass while they had him in there, but he went in for one valve replacement. He had some complications and some hard days of recovery, but now seven years later, he seems the healthiest he's been since that heart surgery. On Tuesday, they will be removing one of his kidneys. During a routine scan for his heart, they discovered a large mass in his kidney. It has to be taken out right away but luckily, it is isolated to the one kidney. The prognosis is very good; there is no sign of cancer in the lymph nodes, bones or blood. Theoretically, when the mass/kidney are removed, he should be perfectly fine. However, being a Believer, I would appreciate all of your prayers and thoughts that we do continue to receive good news and that there are no complications, etc. The fact that we even know about this is a miracle in itself, and it gives me a level of peace that all will be fine. The mass was found during a scan for cardio health. My parents didn't think it was even time for the scan; my mom intended to see if the confirmation message was actually a mistake. When the doctor's office never got back to them, they went on in for the scan. The scan showed some spots that alarmed the staff. They ordered a different scan. THAT scan found the mass. We could have just as easily postponed the appointment due to timing or snow and not discovered this until too late. I have total faith that it was meant to be found because, as they say, the Lord's not finished with him yet. I guess my true prayer request is that you pray for an easy recovery and fast healing. Pray for minimal stress, for my mom as she waits for news on her husband of 47 years, for my sister as she flies from Oklahoma, my other sister as she either travels from Louisiana or waits for news at home, for my parents' dogs Butch and Lilly as they miss their Pop and his special attention...just pray whatever is in your hearts! Have you seen the new Sesame Street E-books? This is so cool! I can't wait to let Lola "read" some of the interactive/audio Sesame Street books on her computer! Lola is four and a half; she'll have her magnet school testing in January. These e-books will give her even more confidence and site word experience. I mean, the listen and learn books highlight the words as they're read by the funny Sesame Street character. Thank God my girls have their own laptop (my old HP) because I would never get mine back from Lola once she sees this. And they even have a rotating selection of five books for free reading/listening. Pretty cool! I will give you an update when we've had a chance to really dig into it...but right now I am loving this resource! I don't know which country you hail from, as I can't decipher your language symbols, so forgive me for lumping all Asain spammers together. However, it would be greatly appreciated if you would stop spamming my blog comments! None of my blog readers can read your advertisements anyway! A blog about nothing by someone with opinion on everything. : The nightmare of Chuck E. Cheese...and how I wante...: "We took Miles and Lola to Chuck E. Cheese tonight. Several people have told me that C.E.C. sells beer. I should have looked into it, because..."
For all of my art friends and shopping friends! Please plan to come out to support your local community on November 20th for the Hollyday Market hosted by Junior League of Murfreesboro. This is an event that gets better and better every year! I participate and love it, plus tickets are not expensive AND go to charity. It is far less for a ticket to our marketplace than to Christmas Village, plus you can't beat the location right near The Avenue. I am breaking down tomorrow and calling an allergist. I can't take it anymore. Itchy eyes, stopped up nose, running nose, pain in my upper teeth, pain in my ears. Ugh. I need relief. Something strange has happened this year. I am just starting what may be my third round of severe allergies. Last year, it became obvious to me that if I spent too much time out at my parents' home in the country, I inevitably got sick with bad allergies. If I spent way too much time, I got a sinus infection. Now this year, I have been terribly sick twice already and fear that I'll be worse tomorrow than I am today. This is really bizarre to me, as I am 34 years old and it just started. I'd say that I've always had allergies that I thought were bad. However, last year I learned what true bad allergies felt like. And this year? Oh I certainly know for sure. So what causes someone to develope a severe seasonal allergy all of a sudden at 34 years old?! I do believe I will do the little spot test and find out. Daily Zyrtec doesn't cut it. I need the real deal, even if that means monthly allergy shots. Thoughts? This summer is shaping up to be the best summer of my life. Man, it is so hard to even think about topping the summers of my childhood! I just can't get over how much happiness I get from spending time laughing with my girls. It feels so good to have Miles at home with me. I think I had missed her more than I realized! Here's to hoping for an entire phenomenal summer of sweet memories with my two little best friends. The three of us are pals and I like it. So it has become a nuisance to blog, and I hate that. I love blogging. However, With Tumblr and Facebook, I am finding it more and more difficult to actually come over to Blogger and follow through with spending time on my blog. I have always used my blog to truly capture our lives, and for the past few months, I've hardly captured anything. I'm sad. Someone challenged me to create a top ten list for moving to Murfreesboro. I ended up with a baker's dozen. 4.) MTSU football. Lots of tailgating and fun if you like that kind of thing! 5.) Plenty of choices for kids' sports leagues, plus adults can play softball, on dodgeball teams, cycling teams, etc. The city also has two sports facilities, Sports Com and Patterson Park, that have pools, workout equipment, classes and walking tracks. 6.) Greenway system is lovely and free to use. We have two large parks, Barfield and Seigel. 7.) Close proximity (30 to 60 mins) to lakes for boating, skiing, etc. 8.) We have a great library system and some local theatre groups. 9.) The mall, The Avenue and local shops mean you never have to drive out of town to do your shopping unless you are just adament about a specific store that we happen not to have, but we have plenty of all the big name choices and lots of locally owned shoppes. 10.) Cost of housing is very fair and much lower than Nashville or Franklin. 11.) Great local music scene. MTSU is a leading school internationally for recording industry, which means lots of buddin muscians around the 'boro. 12.) This community cares! We have a lot of philanthropic opportunities, like the Junior League of Murfreesboro. 13.) Less than an hour and a half to Chattanooga, which is a fabulous town for day trips. 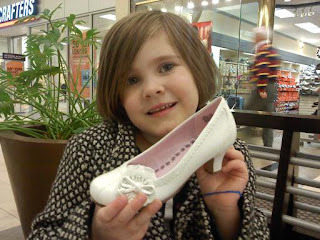 Someone got her very first pair of heels today, and it makes her Momma want to cry. We are almost done with kindergarten, and the more time passes, the more I understand why moms' have empty nest syndrome when their kids leave the house for college. Maybe it isn't the fact that they leave; maybe it's the fact that you can't deny that they are grown. I have been a terrible blogger since the fall. I just don't have as much time to blog! I am going to get back into writing on my blog very soon! Miles can read books all by herself! Lola is very into her jeans and refuses to wear much else. Miles got a big girl bike for Christmas and I need to post pics. Coen totally 5-year-old kissed Miles last night at Mellow Mushroom and she blushed and then said she wanted to kiss him again and again and again. Ahhhhhhhhhh! We got a real snow today! It took us an hour and a half to get home from Shea's! That's about 8 times the normal amount of time. Miles has gotten a 5/5 on her last three AR test! Woot woot! My jewelry will be featured in the February/March issue of Murfreesboro Magazine and on their site! I am going to ODI (Organizational Development Institute) for Junior League in March and I can't wait! Lola has gotten me tickled so much lately. Why, just now, she randomly told me that if you go to the lake with your 'goggelers' on, you can't see anything. And that if you go into a lake with alligators in it, alligators will eat! you! up! She has been growing up so incredibly fast. She is smart as a whip and loves to giggle uncontrollably. She prefers to sleep in one of my tshirts instead of pj's or a perfect sized gown. Santa brought her a Tinkerbelle scooter and you should have seen her face. Boy, oh boy. That scooter was just perfect. To think that tomorrow is Christmas Eve is astounding. The weather is so nice and mild. The sun is shining! So much for a white Christmas, huh? That's ok. My childhood memories always seem to include beautiful sunny Christmas days in Louisiana, so I'll talk a nice mild Tennessee Christmas. I am very ready for Friday morning. Santa is bringing so many wonderful things this year! In fact, I may have gone a little overboard. Possibly. Slightly. But not really. We have lots of gifts under the tree and will all be getting many things that we wanted...but every penny spent was cash money, so that isn't too bad, right? No lingering debt after the holidays means it is ok, right? But I digress. 2009 has been a strange year. We've sent a child to kindergarten and we've passed along how good it feels to keep on volunteering in this community. We buried Papaw Joe but we've celebrated birthdays with lots of little friends just learning to be themselves. I went back blonde. Lola became a true LSU fan. (She's watching tv, wrapped in an LSU thrown right now. Don't prod her or she will ask you, "How 'bout them tigers?") The entire world said goodbye to MJ. We congratulated Britt on her engagement. Merry Christmas to each and every family, with warm wishes for 2010!